The first part of the book examines the various synthetic routes available for the polymerization of aniline, covering both conventional methods and new approaches. These includes oxidative polymerization, enzymatic, ultrasound-assisted polymerization, irradiation path, and electrochemical polymerization. The second section focuses on specific PANI-based materials, and their potential applications, enabling the ready to understand the use of polyaniline for advanced applications in areas such as electromagnetic interference shielding, rechargeable batteries, light emitting diodes, super capacitors, anti-static packaging and coatings, photonics, biomedical applications, chemical and biochemical sensors. This is a highly valuable source of information for researchers, scientists, and graduate students in polymer science, polymer composites, polymer chemistry, nanotechnology, physics, and materials science. 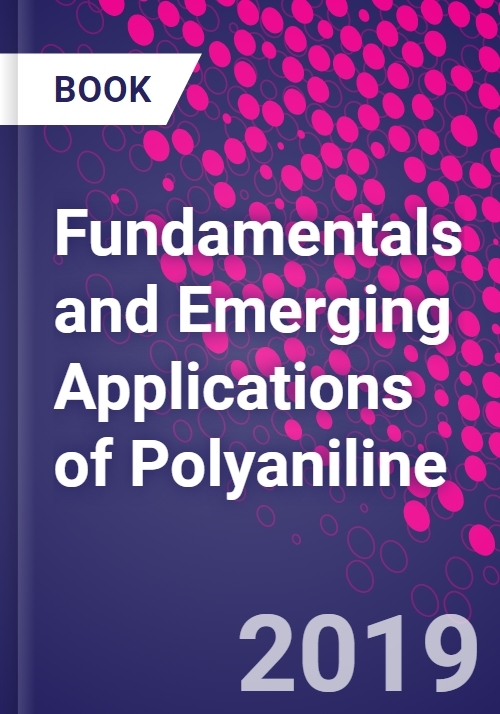 In industry, this book supports scientists, R&D professionals, and engineers working with polyaniline or polyaniline-based materials for new products or applications. Dr. Masoud Mozafari is Assistant Professor and Director of the Bioengineering Lab, at the Nanotechnology and Advanced Materials Department, Materials and Energy Research Center (MERC), Cellular and Molecular Research Center, and Department of Tissue Engineering & Regenerative Medicine of the Iran University of Medical Sciences (IUMS), Tehran, Iran. Dr. Mozafari's research interests involve the understanding of whole field of biomaterials, nanotechnology and tissue engineering. He has received several awards including "Top 10 National Outstanding Scientific Authors, "Khwarizmi Award", and "Julia Polak European Doctorate Award" for outstanding translational research contributions to the field of biomaterials. He is known for the development of strategies for the treatment of damaged tissues/organs, and controlling biological substances for targeted delivery into the human body. Dr. Mozafari is currently on the editorial board of many journals in the field, as well as working as an Associate Editor for Frontiers in Bioengineering and Biotechnology. Dr. Narendra P.S. Chauhan is Assistant Professor at the Department of Chemistry, Bhupal Nobles University, Udaipur, India. Dr. Chauhan's research interests include conducting polymers, polymerization, polymeric materials, polymer synthesis, material characterization, nanocomposites, and biopolymers. Dr. Chauhan has worked as editor or author on 3 published books, in the areas of biocidal polymers, polyaniline, and inorganic and organometallic polymers, as well as contributing to numerous journal articles and book chapters on functionalized polymers and related topics.